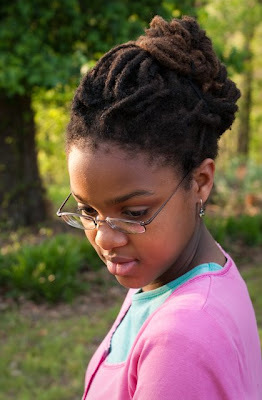 Bella's dreadlocks have an amazing dimensionality: they take up so much space and they stay almost anywhere you put them. 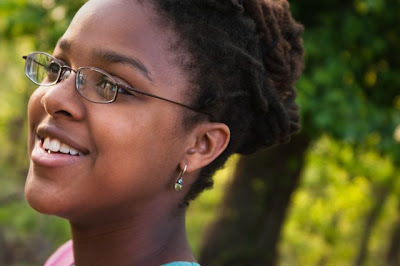 Though she usually wears them down, held off her face with a stretchy band, she's started sculpting them into fantastical creations when she has a little extra time. These shapes have such a presence and dignity to them; I love them. No fancy hair this week though. She had her top wisdom teeth out on Monday and does *not* feel like posing for pictures until she loses the cheeks. The owlmaker (me!) 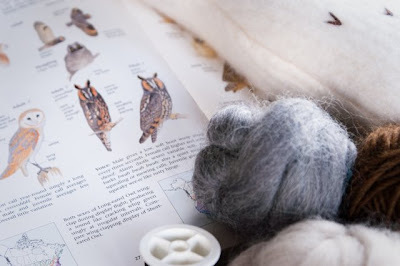 has surrounded herself with felted sweaters, roving, embroidery floss, and the Sibley's Guide. 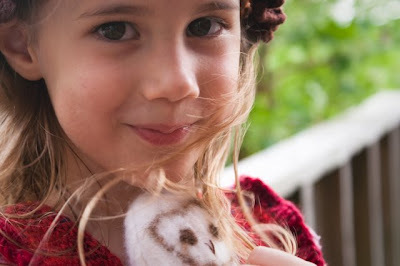 Mother Barn Owl was a big success, but the prototype fledgling was a little wonky. Too skinny? Too something. But just right for Daisy, who immediately trained it to "step up" on to her arm on command. Just the way Frederick our parrot does. Something about this small softy appeals to her greatly. At least once a week Bella's digging through the linens and the china (hmm . . . which of the seven sets shall I pull out today?) and the cake cookbook and coming up with something good. This Sunday she went with a blackberry sponge cake and her own personal set of vintage Homer Laughlin. She has such lucky friends! Happily dressed in tablecloths from head to toe! 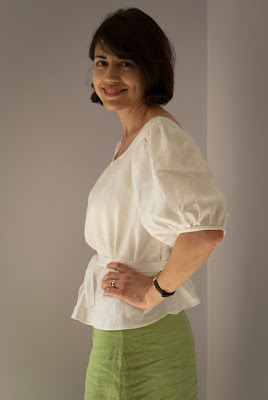 Skirt was made a while ago, blouse is new. 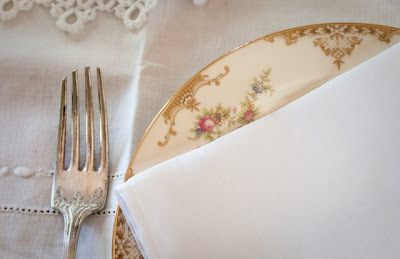 I used a thrifted tablecloth that seems to be a mix of linen and silk--beautiful drape and lots of gloss. This pattern was really fun. 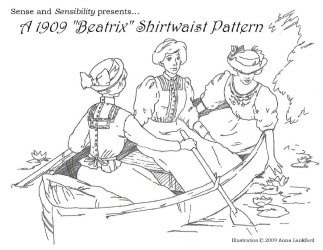 It's based on the shirtwaists of the 1900's but has a surprisingly modern feel. Sort of boho. 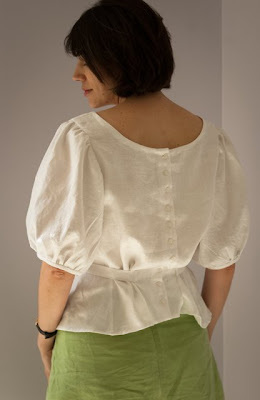 I gathered the front bodice into the bound neckline, then there isn't any shaping at all through the bottom of the blouse except for the ties which are sewn on in the back and used to gather the front. So comfortable! I've noticed sewing other garments from different eras how strange it feels to wear anything these days with any extra fabric in it at all. Years ago ladies thought nothing of a little pouf in their outfits. Now we seem to need to sidle through taking up as little space as possible. Beat 2 eggs until light. Roll out to 3/8 inch thick on floured board, then cut into 2" squares. 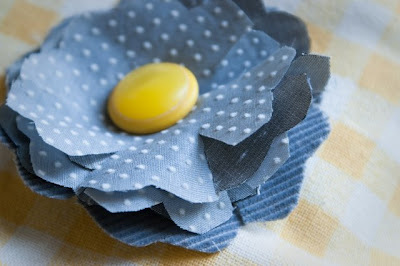 Use the back of a knife blade to press a tic-tac-toe design onto the top of each cookie. Grease the baking sheet and bake at 375 for 10-13 minutes. 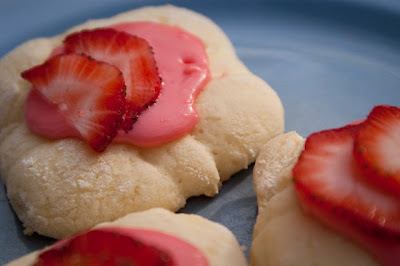 Frost with a dab of buttercream and garnish with strawberry slices, or a tiny lemon twist and a mint leaf, or a single perfect raspberry . . . .
Bella found a vintage recipe for "cream cookies" and topped them with pink buttercream and strawberry slices. The blue plate was my idea. 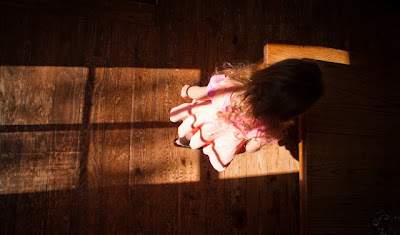 "'A child won't notice' is a very bad and untrue phrase to admit into your mind. 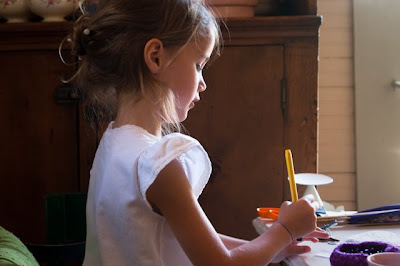 A child will be affected by originality, beauty, and creativity." We sent a box of these lemony cookies off to Giles this week. 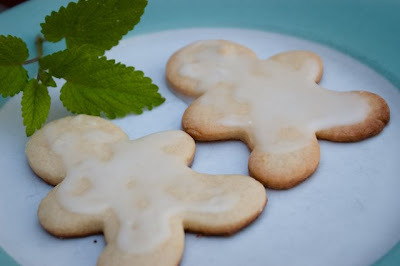 To a regular sugar cookie recipe I added the zest of a lemon. After the cookies baked and cooled, I glazed each one with a tart glaze: juice of half a lemon mixed with enough powdered sugar to hold together (about 3/4 cup). Heard him eating them on the phone; he was thrilled to eat frosting! 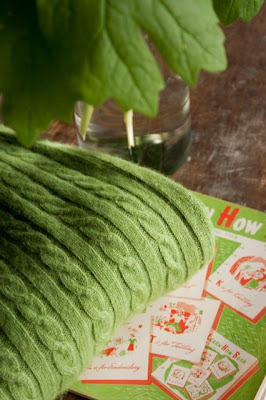 Beautiful green wool sweater for Bella, vintage sewing booklet for me. Bouquet of mayapple leaves from the woods provided by Clara. 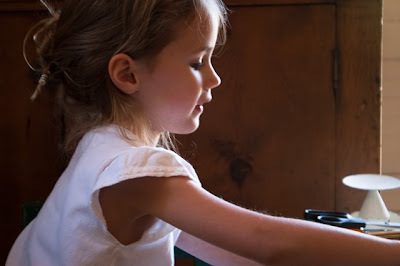 Of all the marvelous ways the children have grown and changed this year, by far the most exciting development has been to watch Bella finding her voice. All last year she took guitar lessons and sometimes sang along in a usual little girl's light and breathy voice. But occasionally I would hear her in another room singing silly songs. Singing in an amazingly powerful, high, full voice. Just to be silly. One day in October in dawned on me that I was hearing something extraordinary, and I started listening closely. Something was not normal. I took her to my friend the voice instructor at college. "Sing something silly, Bella," I told her. She burst into the melodramatic strains of "There's Always Tomorrow" from Rudolph, the Red-Nosed Reindeer, and Holly heard it too. Bella started voice lessons then with a graduate student. Week after week we have been hearing her come into her power. Her range is something over three octaves. She opens her mouth and the most incredible music comes out. She sings like a rock star. Like an opera star. She sings in Italian and German. When she sings I know I am in the presence of a divine gift. Someday you will hear her too. 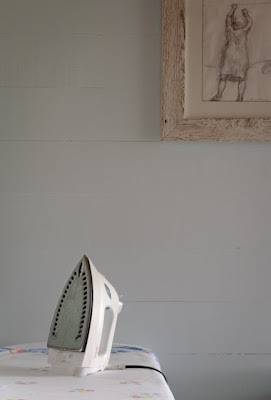 Is it not a good feeling when the ironing pile is vanquished? The Composer and I are slowly getting used to the idea that Felix will be going away to school in the fall. We're lucky enough to have a residential science school not too far away--close enough for a Friday afternoon pickup if we want. We *will* want. Five days at a time will be long enough to go without Felix's bright eyes and bad jokes. We are happy for him though. When he was looking at the courses offered in the fall I asked him what science electives he would choose, and he said he didn't know, but he felt like a kid in a candy store. One last recent baking project from Bella . 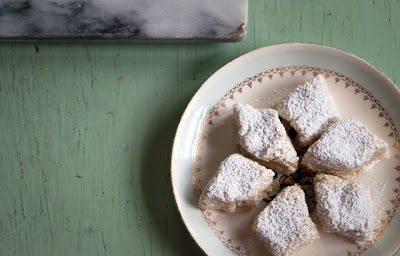 . . these exceedingly almondy macaroons called ricciarelli. Meringues tossed with almond flour and lemon peel: bring them on! And the Lord God will wipe tears away from all faces . . .
Let us be rejoice and be glad in His salvation." and she is ready for Easter. 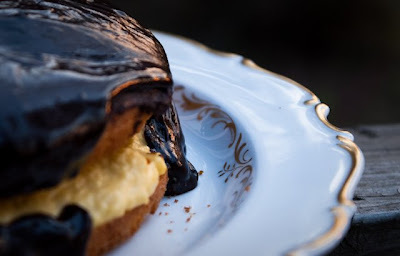 The undauntable Bella created a Boston cream pie--two vanilla sponge cake layers, a pastry cream filling, and a chocolate ganache to pour over the top. I've noticed that she's very much inspired by beautiful food photography in a cookbook. She's something of a concrete thinker, and the pictures make the recipes seem very doable to her. If you have a child that thinks like this, you might get as much use as we do out of Nigella Lawson's How to Be a Domestic Goddess: Baking and the Art of Comfort Cooking. 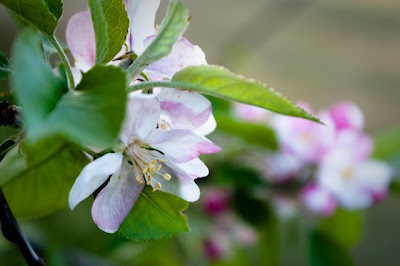 The apple tree is flowering abundantly this spring. So beautiful against the sky morning, noon, and evening! 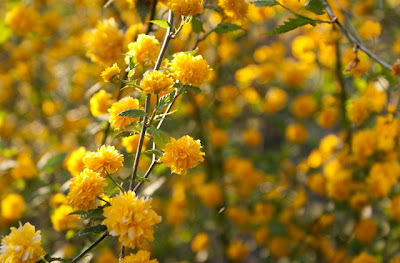 This little-known shrub is kerria japonica. Very generous with its flowers right now in the lull after the forsythia, very easy to grow, and lives in the shade. 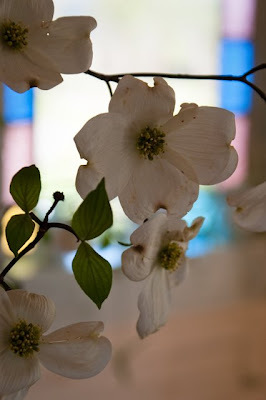 I have a graceful curved hedge of it outside my bedroom window, all started from a little sprig given by a friend. If only they lasted forever! Felix has moved to ink drawings in his bird journal (pencil is so last year). 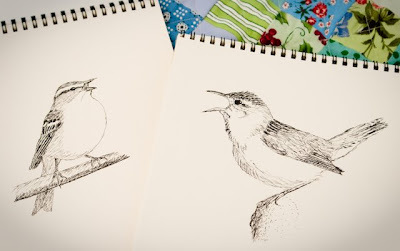 I came across his open notebook--chipping sparrow on the left, marsh wren on the right. 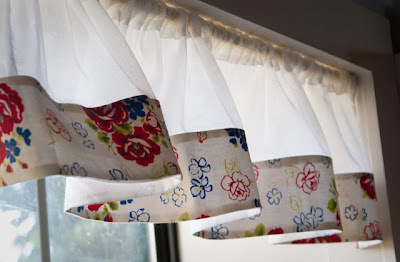 Finally got in the mood to make new curtains for the kitchen--after waiting ten months for inspiration! Why had it never occurred to me to use the gigantic tablecloth I picked up at the Boy Scouts' rummage sale? It's exactly what I wanted and I had had it on my shelf all this time. I cut it three different ways for different parts of the print. 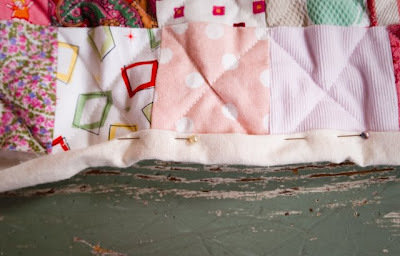 I used the strip of smaller flowers, with rickrack, to border some long voile curtains on the east window. 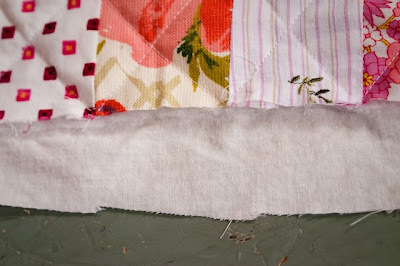 And used strips of the central print, pieced together, to edge a voile valance over the kitchen sink. 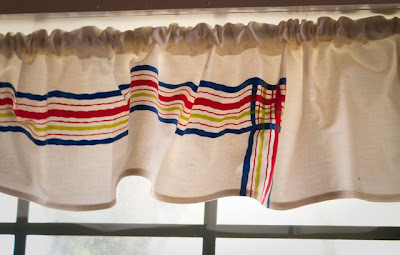 Harvested the striped edge of the tablecloth to make a geometric-printed valance over the north window. 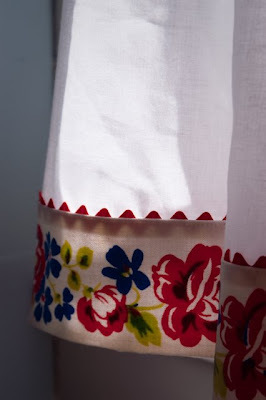 I bought the voile at Vogue Fabrics in Chicago last week, not with curtains in mind, but it was just perfect. 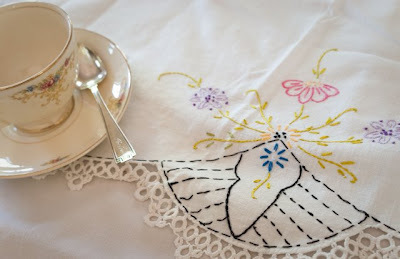 And the tablecloth? Best dollar I ever spent! Been in a tote bag frame of mind. Check out the shop! "The Tote is a Blessing"
"On trips, too, the tote is a blessing because you keep it right with you. On a train. In a plane. In a car. Comfort and relaxation are essential if you are to look your best on arrival at your destination . 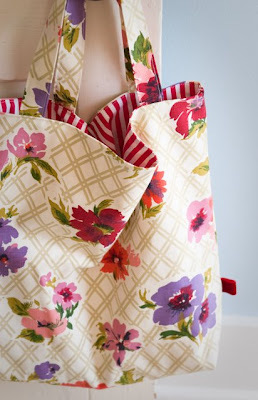 . .
Once you've acquired the tote habit, you will adapt its uses for many personal needs, finding it indispensable for a shopping junket with the children, the day you spend reading to patients at the hospital, the morning that finds you at the supermarket, the dressmaker, and picking up the laundry." 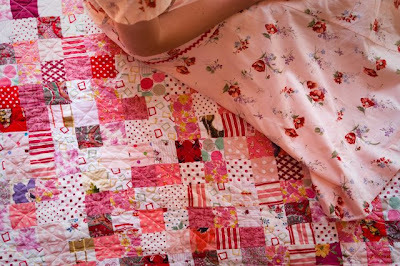 This red and pink scrap quilt is for Clara. If anyone's counting, it's number four! One more to go . . . . I limited the palette to all shades of pink and some red. And lots of really vibrant coral. 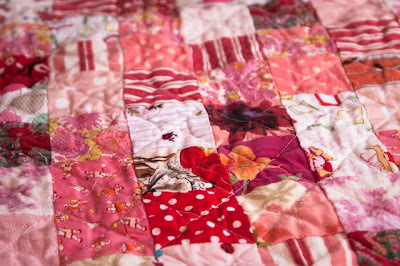 This quilt really shimmers with color--it makes me think of a hot summer garden in the full sun. Clara, for all her quiet personality, loves saturated color. 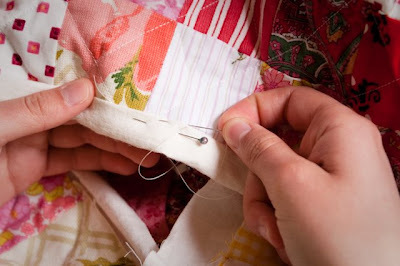 This quilt is just right for her. All the children helped me piece it in a mad flurry at the dining table. Two machines, twelve hands, ninety minutes! Felix reports that the warblers are beginning their spring migration. 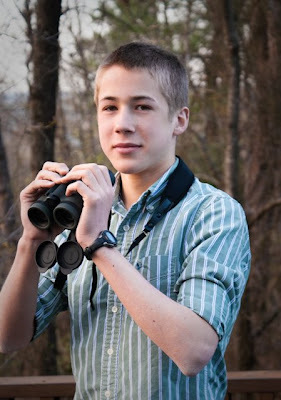 And that he has once again gotten himself a spot on a national birding team. And was just tapped to report in a national publication. He knows and loves his stuff!